Granit Xhaka, N’Golo Kante, Grzegorz Krychowiak ALL linked with Arsenal: What’s the Future of Arsenal’s Midfield? Two clean sheets, two nice wins and more goals than usual. It’s a revolution, no? How has it been done and can Arsenal make it last? Today I’d like to look at our central midfield, you know, the one currently anchored by those two less than huge money buys: Francis Coquelin and Mohamed Elneny. Is it, as per usual. NOT. GOOD. ENOUGH…? I ask because, at least looking at newsnow as I sometimes do (personal disclosure: I do a lot of skiing…), it seems that this is the outlook in the Goonersphere. Is it true that most Gooners want us to buy our way to the top? Maybe he didn’t last summer, but Manager Arsene Wenger has bought his share of central mids over the years. Mesut Ozil, of course, was the record purchase in English football when he was bought from Real Madrid in 2013 for fifty million Euros (42 million pounds). This season, his third at the club, finds him thriving as our #10, tucked in behind, and even sneaking ahead of the center forward, on occasion. Eighteen assists and five goals in 31 league matches isn’t too bad. He’s nailed down our #10 spot but he’s not the only one who has played there before. The summer before Ozil arrived, Santi Cazorla was brought in to help replace Cesc Fabregas. He cost approximately 10 million pounds and was likely undervalued in Malaga CF’s fire sale. That was on top of the emergency buy, that terrible summer of 2011, when we lost Cesc (and Samir Nasri), of Mikel Arteta from Everton, also for about 10 million pounds. 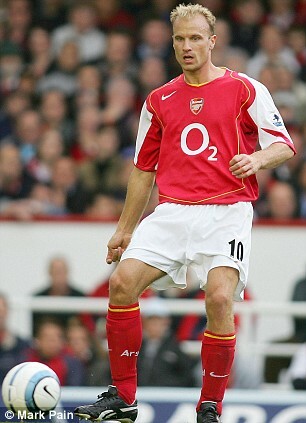 Even a player like Aaron Ramsey cost 5 million pounds as an 18 year old from Cardiff FC in 2008. Before that, way back in 2006, Tomas Rosicky arrived from Borussia Dortmund and cost Arsenal about 10 million Euros. That’s a LOT of quality midfielders for a decent amount of money especially by Wenger’s notoriously frugal standards. Add in a home grown guy like Jack Wilshere; a veteran signed on a free transfer (with “unfinished business” at Arsenal), namely Mathieu Flamini; and a couple of still young English (and Southampton Academy) players who can play as central mids: Calum Chambers and Alex Oxlade-Chamberlain. Then there are up and comers who might work in. Alex Iwobi is the current sensation–rewarded with a recent contract upgrade–but US national team player Gideon Zelalem is doing a job on loan at Glasgow Rangers and might grow into a role. Isaac Hayden is at Hull. What about Jeff Reine-Adelaide, Krystian Bielik, Joseph Willock, Dan Crowley and others in the academy? Serge Gnabry is “with” the first team and we’re only another injury (or somebody getting healthy) away from one of these guys (or somebody I’ve missed) at least getting a bench seat during the final seven matches this season. Even if we call it a 4-5-1 that Arsenal play, that’s a lot of midfielders wanting pitch-time. Of course, this season, we may have needed even more due to injury, hence the ruefulness over not buying last summer. Wilshere has yet to kick a ball while Rosicky and Arteta have hardly done better. Flamini and Ramsey held the team together when Coquelin and Cazorla, the preferred rear of MF pairing, went down to injury in consecutive league matches in November. Both are currently in the physio-room themselves. The transfer of Elneny–from way under the radar, for about 7 million pounds–was perhaps pushed forward by a transfer window and, even though it went smoothly, Wenger then eased the Egyptian in quite slowly, despite his obvious fitness and stamina. Others are probably on Wenger’s “list” right now. The media, including us bloggers, try to guess at who those might be. The mere mention of a name appears to up values and start bidding wars on the back pages. For me, it’s clear that Wenger buys players he believes can play the game as a first priority and worries about positions and combinations of positions (tactics, formations, strategies) later. Gooners use a lot of terms–‘defensive mid,’ ‘box-to-box,’ ‘mid-wingers,’ etc.–to try and describe the line-ups they see (or want to see) but I’m convinced Wenger believes quality will prevail as long as it gets its chance on the pitch. A corollary is that the manager, I don’t believe, will spend big money on name players simply “in case” or so that other teams cannot get them. It’s actually part of the reason players say they want to come and play for him–you know, to play, not to sit. The spirit in the dressing room is very important (too important, perhaps?) and players merely ‘waiting their turn’ detracts from that spirit. Competition for places is necessary; stockpiling players who might fancy a big paycheck for less work is the purview of the clubs whose owners have a money to burn mentality; our Stan Kroenke clearly doesn’t. Watching from over here (California) I see every minute of first team action but far less of the youth players and the names to whom we’ve been linked. Guys whose names start with Xs and Ks but (maybe) sound like Ss, I probably couldn’t pick out of a police line-up, for example. 16 Responses to Granit Xhaka, N’Golo Kante, Grzegorz Krychowiak ALL linked with Arsenal: What’s the Future of Arsenal’s Midfield? Yes we have, and had, some very, very fine midfielders. If they are all fit, Wenger will struggle to keep them all happy. I really like the ElCoqny combo and it fits Wenger to play them at the final and crucial stage of the season. We are solid, defend with seven and attack with four, with some interchange between the two ‘armies’ but with more discipline than normal. This way we will be safe and get our points we need. Wenger has played his hand quite brilliantly imho…..he brought in El-Neny just when we needed him and Iwobi just when it really counts. There has been much ignorant criticism and blinkered pessimism from the media, the Arsenal and Wenger haters and from far too many of our so-called supporters concerning Wenger and his decisions. This will, as usual, be a distraction more than a nuisance. Those of us, the vast majority of Gooners, support what the club and its manager is doing. We don’t have to worry about buying our way to success and have a great future with what we have already! It sure looks like we have a good number of top quality midfield players, but we are still short in those two holding positions. I agree that the combo of Coquelin and Elneny works really well, as did Coquelin and Santi. The question is, what happens if Coquelin gets injured again? We know the answer of course – we drop points! These two positions are essential both to provide cover for the defence and to provide a springboard for the attacking four. That’s why someone like Xhaka might make sense – he can come in for Coquelin, or even sit next to him if we want to protect a one-goal lead in a tight match. So our normal midfield pair would be one of Coquelin and Xhaka paired with one of Santi and Elneny, in both cases a tackler and a passer. We’re blessed with so many options in attack, and how many can we accommodate out of Ozil, Sanchez, Walcott, Campbell, Iwobi, Ramsey, Wilshere and Rosicky? I think that eight is two, probably three too many for these three positions, and that’s before we allow for players like Gedion Zelalem, Chris Willock, Jon Toral and Jeff Reine-Adelaide to come through. We ned to prune the numbers here – to me, only Ozil, Sanchez, Iwobi and Ramsey are guaranteed regular playing time out of those eight. It’s a nice problem to have in many ways, but I think if we want to invest money to buy success it should be to strengthen the DM position and the back four. That’s a clever post, HT. Futuristic. Me? Am here and now but that’s for later. Elneny, is a unique player. Have we really gotten to know him? No vision of crunching tackles about him, yet his presence fortifies the midfield like all the opponent ‘s spaces are gone on awol. Another ‘ Invissible Wall ‘? I think very much so. He is so brilliantly aware of the passing lanes, offensively and defensively and that’s Wemger’s baby unadulterated. Behind him is le Coq, and that to me gives the perfect partnership. What of Carzola? He must be accommodated. Just find a way. He must be accompanied. So exquisite creating from deep this diminutive Santi. Strange how it all seems to tally with the Hindu Trinity ; Brahman, Shiva and Vishnu, the Creator, the Destoyer and the Maintainer (Santi, le Coq and Elneny). Accomodating the three in our CMF would demand a tweak in formation. Will it be 4:1:2:3 or 4:2:1:3 or 4:3:3 or 4:1:2:1:2 or what? Wenger, over to you. For the remainig 3 front players, I will first of all retire our veterans with honours. Arteta remains in the coaching staff. He is so cerebral, so unobtrusive and very modern. Adieu Rosicky and Flame. I would miss you two most dearly. Then we would be left with Ozil, Alexis, Jack, Rambo, Campbell, Ox, Theo, Welbz, OG, Iwobi, Zelalem, Jeff and …….. Wenger, I don’t need those your lovely shoes. They are a little bit too tight for me, unless of course you tell me that there’s a 4:3:10 formation! Strengthening by buying might be a way, but we are only a central defender short. And that defender is not of Chambers type. Its the wrecker the of defender that we need most. Someone that does more than Gabby, someone similar to Morgan at Leicester. Ok, i admit that i tore Leicester apart recently with my words. However, if they are going to change Morgan with even our very own BFG they will concede more goals. And just maybe one more out and out striker. That’s all. We got our DM very nicely, so none for that position. Great post 17ht, but it’s given me a headache. As others have suggested, it’s time to let the veterans go. I am a great believer in ‘if it ain’t broke, don’t fix it’. I really like the Elneny, Coquelin Axis and if it is left alone, it can only get better. If Ozil and Alexis, that leaves a number of quality players trying for two positions. In my mind there is no doubt that Wenger missed a great opportunity by not signing a defensive midfielder last year. When Coquelin and Santi were injured, it left too bigger hole and the teams form dipped. I don’t profess to be an expert on international players, but if Wenger had invested in an Elneny or similar type player last year, I believe we would be champions this year. So I am no wiser, in answering your question. I can see Ramsey, Wilshire, Cazorla, Iwobi, Campbell etc plus some very talented youngsters or expensive purchases competing for two slots (injuries aside). Well having done a very good impression of Hugh Grant in the beginning of the film, ‘Four Weddings and a Funeral’, having seen my well scripted, nay, brilliant, reply (you’ll never see it so you cannot say otherwise) disappear into the ether …. More F! F! F! than Grrrr!, I can assure you. I will now read PE’s response which has slipped in while I was cooling down. Agreed with others re lack of cover for Coquelin. Flamini did a good job but just has not got the legs to replace Coquelin for three months or so. Still feel Chambers, Nacho or Gibbs could be developed into a vey decent back up. Wenger is locked permanently in the desire for another Viera, i.e. a destroyer and creator in one. Le Coq is still young and may grow into one. Meanwhile I do not see Wenger purchasing another Coq-like player. When Coq is unavailable, Wenger is likely to opt for 2 defensively conscious players with good offensive contents eg any 2 of Elneny, Santi and Wilshere. I am of same opinion TA, that Chambers would end up a good CMF player. He has very good ball skills. I still doubt that he will ever be a great CD. If a prolific goal score can be acquired, this team will be up there with the best. It is always the last piece to a jigsaw. Welbz is like a lubricant to our offensive mechanism, but he is still not a goal hunter. We need one. All ageing heads not above take up coaching roles or sadly depart. All other youngsters compete for 3rd team lineup or make surprise breakthrough from cup games like Iwobi did. Re: Santi. He is ageing and his last performance/s before injury were below his usual standard. Has he lost his legs? Can he produce his previous high levels consistently in an ever more competitive league? Still worthy of a spot like Arteta/Flams but something tells me he his not going to repeat his previous form over two/three months or more. Re: Back up for Le Coq or Elneny. Elneny can fill in for Coq as a first rejig. If both were out then in that CDM position I would prefer a new buy here with more bite but he would only play if Elcoqny(love that name) were not playing! Given the difficulty of finding such a player and Wenger’s faith in his players potential he will probably trust in Chambers for that eventuality. Re: Walcott, Wilshere, Ramsey and the Ox – all need to prove they can play well consistently to be in the matchday lineup. The Ox is most under threat here. I don’t think he will make it, this compounded by the youngsters coming through. Re: a real goalscorer up front. I would love it if we found one that could also provide that high speed fluidity and also lubrication as PE puts it. If not then I am happy with Welbeck as the solution. He has the potential to score more with a run of games and as we saw in our last game his inclusion, creates that team dynamism and dynamic where other players score as well, which was the point of having Giroud as CF before. He also has a growing partnership with the young star Iwobi. In truth, I’m already there–enjoying the present with the Egyptian in my avatar working so nicely in tandem with Le Coq–though I wonder if they’d have the same success against better and/or more motivated opponents. From what I’ve seen, Elneny and Santi are Coq’s two best partners because they move towards the ball (when we’ve got it) to offer those easy outlet passes and keep the offense ticking over. (Elneny then plays good 1-2s while Santi can dribble out of tight spots or spray the long passes with either foot…) When the other team has the ball they both help funnel play towards Le Coq (and other defenders). Positioning and moving with intelligence, corralling the ball and not overplaying it, IMO, can be just as important as making the tackle in this part of the pitch. That still won’t help those worried–in both the past and the future–with finding cover for Le Coq. Just find that player, most will say, but who is he? I feel like I haven’t seen enough of Schneiderlin (:Van Gaal doesn’t use him very much) to say that he was the guy. Plus, if he costs 25 million doesn’t he have to start? I’ve seen even less of Xakha and the same logic would apply…Overall. it’s just very rare to have such a quick player–with the passing and the running and the playmaking–who also minds his defensive responsibilities and works with his teammates to cover the area. What an asset he’s become, though it could be argued that we need a more forward thinking player when we need goals, which, given the need to win games, is quite a bit. As such, I think that we may just have to play differently if Coq is out (or even subbed out as we search for goals)… Move the ball more quickly through the middle (or over it to target guys) and then rotate the FBs backwards more aggressively to provide cover if we lose it. A more dedicated DM figure with a strong range of passes (Chambers, the English Busquets?…) could also provide that cover. That’s what was so weird about Flamini’s style. Obviously slower in the tackle and on the ball, he was still allowed to get forward in ways that seemed quite irresponsible. And that’s just talking about the back of the MF…!! This summer, I fear, the club needs to think long and hard about replacing the old and the infirm (Arteta,Rosicky Flamin), plus the chronic under-producers (Ox, Theo) plus the perpetual fitness worry (Jack). The killer blow this season, IMO, has been fitness troubles for Alexis plus the big injury to Santi plus very inconsistent fitness and form for Ramsey. Most of these players (of course) will be retained but may have to be considered as only bonus elements while others (including some who will likely cost plenty) are brought in to shore things up. Hi HT. In the present now where winners are made our two mids are perfect. I wouldn’t change them either. Again agree on the ‘new dm buy’ .. how to buy a player better than our other options to back up elcoqny ?? + yes Chambers as new busquets I’m sure Wenger will help him kick on. He just needs to follow the elcoqny crowd and not the Jack the lads , ox et al..